Technology to improve the lives of handicapped people has brought us all kinds of incredible objects. From bionic body parts to inventive gadgets for the blind, inventors have been hard at work leveling the playing field for all humans. These devices for the deaf and hard of hearing help hearing impaired people communicate with the hearing world and keep up with all of the most important things in life. Aimed at a youngish clientele, the Deafinite Style hearing aid provides a uniquely stylish way to augment hearing that was either damaged by loud noises or impaired from birth. 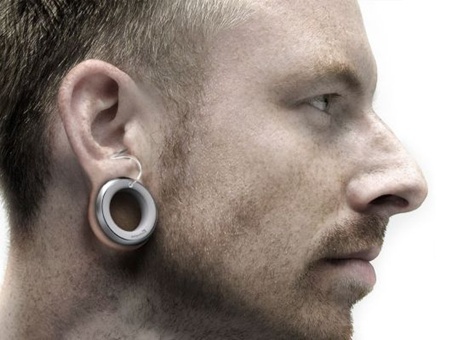 The jewelry-style earpiece was designed by German firm DesignAffairs Studio and uses a wearer’s stretched earlobe piercings to hold the body of the hearing aid. 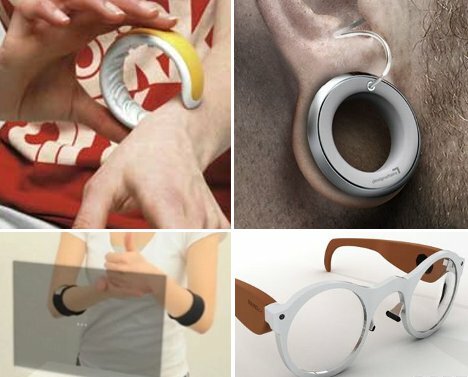 Perhaps it would only appeal to a small segment of the hearing impaired population, but to those who resist hearing aids because of their ugly, utilitarian appearance this invention could be a perfect match. Most of us in the hearing world take for granted the fact that we can hear a variety of events taking place around us. The Aria is an attractive bracelet with a hidden function: it lets the wearer know when certain aural events are going on. The bracelet has little plastic nubs on the inside that rub against the wearer’s wrist to alert him or her to a ringing phone, a baby monitor, a doorbell, emergency sirens, an alarm clock, or a smoke alarm. Associated lights indicate which sound has activated the bracelet, letting the wearer direct his or her attention to the appropriate place. Before the proliferation of text messaging, many hearing impaired people had to rely on relay calls in order to communicate via phone. These calls can be uncomfortable for both parties since there is a third party listening in and translating between typed words and text. Designer Suhyun Kim took the relay operator out of the equation with her Visual Sound phone concept. The deaf user types her end of the conversation into the phone and the phone itself translates the text into speech. Those who already use text messaging or email to communicate wouldn’t get much use out of this invention, but older people who are not as comfortable with those options may find that this is an easier-to-grasp option. Have you ever thought about how hearing impaired people see movies in the theater? There are screenings with captions at many theaters, but they are often scheduled at inconvenient times. These captioning glasses, being developed by Sony, will let hearing impaired movie-goers see captions for movies while everyone else in the theater watches a caption-free showing. The text for the movie will be transmitted directly to the glasses, which will be available for rent at theaters soon. For those who use primarily sign language to communicate with the world, getting a message across to someone who does not know sign language can be a frustrating endeavor. 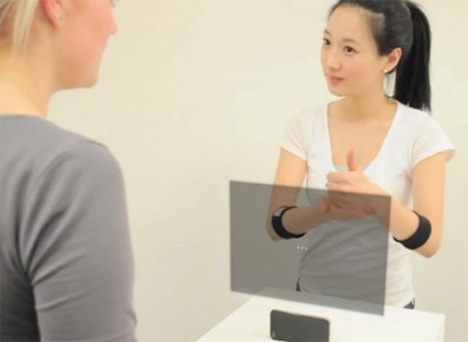 The Gestics system, envisioned by designer Luise Pescheck, is a portable sign language translator that can be used anywhere to turn sign language into text. Bands worn on the wrists of the signer detect muscle movements and “read” the signs being formed. 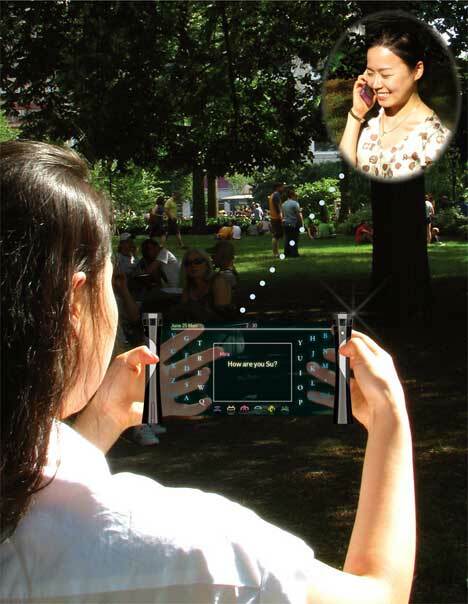 The words are transmitted to the user’s iPhone and displayed on a projected screen. The screen, of course, is not part of the current generation of iPhones, so this concept is still a long way from becoming reality…if it ever does. People who are not only deaf but blind as well have double the obstacles when it comes to communicating with the world. 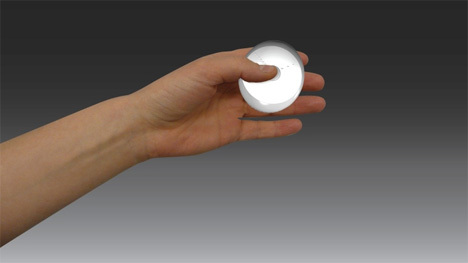 This timepiece concept is meant to help deaf/blind people keep in touch with reality by providing the current time via a series of raised dots on its surface. Small dots arranged in lines take the place of a clock’s hands, pushing up against a thin membrane in positions that indicate the time – just in the way that a traditional clock would. 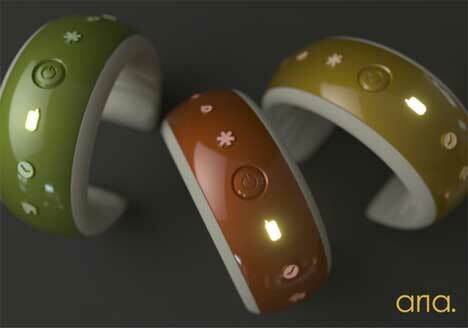 The Helen Keller Watch concept was designed by students Andrea Seitner and Katharina Unger. While some hearing impaired people avoid hearing aids out of embarrassment, technology is making it easier and easier to disguise a hearing problem. 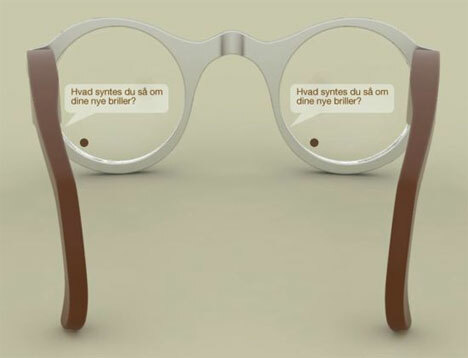 The Babelfisk concept, designed by Mads Hindhede, is a pair of glasses equipped with internal electronics that turn spoken words into speech bubbles right in front of the wearer’s eyes. Twin projectors place the speech bubbles directly onto the glasses’ lenses. Conversations would be simple to follow and participate in thanks to real-time, inconspicuous captioning. It may be a little alarming to see someone’s eyes darting around while they read rapidly changing text, though. Sign language interpreters are not exactly hard to find, but when there is not one around and a deaf person needs to communicate with hearing people via sign language, this awesome system would be priceless. 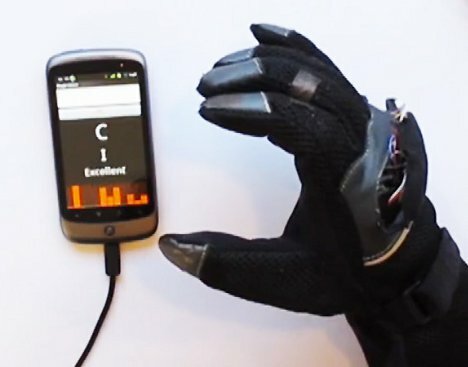 The Texting Glove, invented by a group of Google developers, senses the signs being formed by the wearer’s hand and translates them into text through an Android phone. The promising technology might have all of those professional sign language interpreters fearing for their jobs in the near future.